[Solved] How Do I Free Rip DVD to Windows Media Player? How can I free rip DVD to any version of Windows Media Player on Windows 10, 8, 8.1, 7, etc? Get answers below. Some editions of Windows cover full-featured DVD playback capability in Windows Media Player, while others require a plug-in or add-on to add this feature into this player. However, 'Windows Media Player cannot play this DVD' error message is still possible to pop up because of incompatible DVD decoder, copy protections and region codes built-in DVDs or other reasons. So, the best way to play DVD on Windows Media Player is to rip DVD to Windows Media Player supported file types, such as WMV, by making use of a DVD ripper. For ripping home-made DVDs and commercial DVDs protected by CSS, UOP, RCE, region code and Sony ARccOS, a free DVD ripper can handle it. 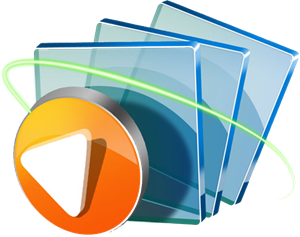 Free rip regular and copy-protected DVDs to Windows Media Player supported file formats, such as WMV, MP4 and MPEG. Why WinX DVD Ripper Is Recommended? * To be first, it is a free DVD ripper without watermark and without limitations. Meanwhile, it is clean. * Secondly, it is compatible with various Windows editions, making Windows 10 and lower OS users rip DVD to Windows Media Player. * Thirdly, superior to HandBrake which can only rip non-protected DVDs to Windows Media Player 12, WinX DVD Ripper can rip protected DVDs encrypted by CSS and other copy protections. * Last but not the least, this DVD ripper offers a couple of output profiles for Windows Media Player 12, 11, 10 and lower, for example WMV (Windows Media Video), MP4 and MPEG. Meanwhile, it is also a free DVD audio ripper that can rip DVD to MP3 music for playing on Windows Media Player. How to Free Rip DVD to Windows Media Player? After you get this ripper downloaded and installed on your Windows computer, you can perform DVD to Windows Media Player conversion right now following the guide below. Step 1. Insert target DVD into DVD-ROM, and tap DVD Disc button on the ripper to select and load the DVD. Then, the DVD information will be loaded with main title being ticked. Step 2. Choose an output format that is compatible with your Windows Media Player. 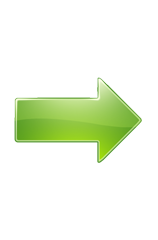 WMV is recommended, because it is accepted by all WMP versions. Step 3. Hit Start to activate this DVD ripper to begin copying DVD to WMV for Windows Media Player. Thanks to embedded Hyper-threading Technology, it can finish this job in a flash. Once finished, you can import the converted DVD video to Windows Media Player as follows: launch the player, click on "Library", double click on "Video" category, and then find out the video to play. What if this free DVD ripper for Windows Media Player cannot recognize the DVD you input? Just try its upgrade version - WinX DVD Ripper Platinum. This tool can rip any DVD protected by CSS encryption, region code, Sony ARccOS, UOPs, APS, RCE and even Disney X-project DRM. Simply put, it can rip latest strictly encrypted DVDs, such as Star Wars: The Force Awakens DVD. Fix Windows Media Player Won't Play DVD on Windows 7/10 etc.